The next step was to get mobile with a scanner, I went down to a radio amateur rally down in Telford, I came home with an AR-900 hand held which gave me access to the cellular networks and that really was a good bit of fun. you would not believe what people would talk about over the unsecured networks. I then bought a Pro-2045 again from Tandy. I modified this to give a discriminator tap for using with a great little program called POCSAG, POCSAG is an asynchronous protocol used to transmit data to pagers. 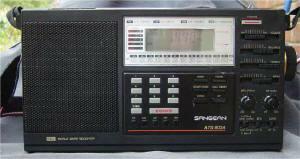 Then First Gulf war came along and I got a Sangean ATS-803A which was a very popular dual conversion superhetrodyne LW/MW/SW/FM portable manufactured between 1989 and 1995, provided hours of listening to the USAF during the conflict. I then bought a DX 394 again from Tandy, luckily it was a version B model and Its digital performance was excellent with lots of front panel features. there are several mods available for this receiver. 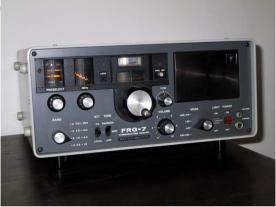 and I have only just sold mine along with the Pro-2045 after many years of excellent service. Along came a Uniden UBC72XLT, this I fitted with a discriminator tap for POCSAG and ACARS : Wacars, Posfix and Acarsd software with a laptop on the move. 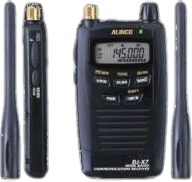 This little scanner also used Closecall which is great for searching out nearby frequencies. One of the more recent hand held scanners I owned was an Alinco DJX-7, this was a nice little credit card size wide band scanner. not as fast scanning as most of the other scanners I have owned and the novelty of it’s size soon wore off. 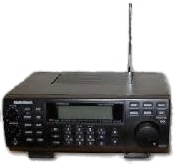 I have also bought a Cross Country Wireless SDR Receiver 40 / 30m version this has centre frequencies of 7.057 MHz and 10.125 MHz Compatible with SDR software designed for Softrock receivers (Rocky, PowerSDR, WinRad, M0KGK SDR) it works but is not a serious radio. 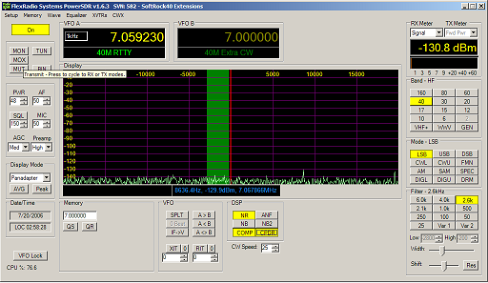 Another little gem that has been given to me is the TARGET HF3 Communications Receiver. 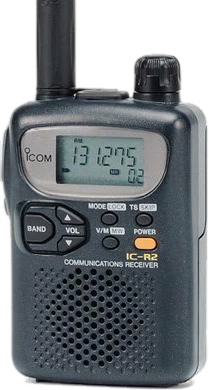 I bought an Icom IC-R2 hand held scanner off Ebay just so that I can have something handy with me when out and about. 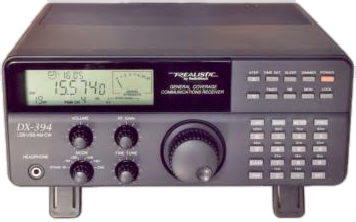 This is a great little receiver and I am sure that even though it is about 8 - 10 years old it will still perform excellently. 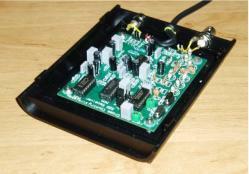 My Latest receiver in the shack is a Uniden BCT 15x Trunk tracker. I still like scanning around the bands and this would appear to be an ideal addition as a desktop scanner. The BCT15x is a little different to previous scanners that I have owned because it uses dynamic memories which can take some getting used to if you have not used them before. 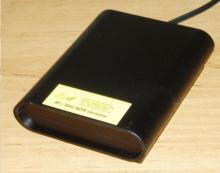 It came with the programming lead and software (ARC XT Lite) supplied. I have also downloaded FreeSCAN which is pretty good software as well for programming, you can also use EZGrab which is a utility included in FreeSCAN designed to bring in frequencies with alpha tags, tones, and other information into FreeSCAN from text based lists. I have not had chance to try any trunk tracking out at the moment as I need to find out a bit more about the MPT1327 system employed here in the U.K. It should be an interesting project anyway.